Success stories are regular features in the The Motley Fool Rule Your Retirement newsletter -- we highlight people who have become financially independent. One very remarkable story is about Billy and Akaisha Kaderli, who, when they were both 38, left their fast-track lives, made the Caribbean their home base, and started traveling the world. We caught up with them on the island of Boracay in the Philippines. Billy shares his experiences with the falling value of the U.S. dollar. For retirees who have chosen to live abroad, one of their nagging concerns has been the possible decline of the American dollar, and that's happening now. If you should choose a similar move, it could pose a risk to the comfort level of your retirement, but it doesn't have to be a big hardship. We have been retired now for almost 20 years, living much of that time overseas. For us, the dollar's decline has actually been a net positive, because our portfolio is 95% invested in the S&P 500. Profits of multinational corporations such as ExxonMobil (NYSE: XOM), IBM (NYSE: IBM), and Coca-Cola (NYSE: KO) are benefiting from the dropping value of the dollar. The increase in our net worth reflects those gains, and if dinner, hotel rates, or bus fares go up a bit, it's not that hard on us. Those who own real estate abroad have seen similar increases in their property values in dollar terms, which could come in handy if they choose to return to the States at some point. Hurt most from the dollar's descent are folks whose income is derived solely from fixed-income investments such as bonds, annuities, Social Security, or pensions. This situation illustrates perfectly why you need equities in your portfolio to counter the effects of inflation -- and for expatriates, changing exchange rates -- no matter what your age. It is true that our costs rise as the dollar depreciates, and inflation in many countries is often higher than in the States. For example, we now pay about $6.00 for a luxurious two-hour Thai massage, compared to $5.00 a year or so ago. That's a 20% increase, but it doesn't affect our lifestyle. Thailand still offers a good value for retirees in many ways. For instance, you don't need to own a car because inexpensive public transportation is readily available. Housing, food prices, entertainment options, and tailor-made clothing are still a bargain. 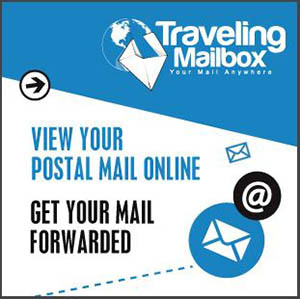 Popular with British, German, French, and Australian ex-pats, this multinational culture is also very attractive to us. Mexico, particularly the Guadalajara, Lake Chapala, and Ajijic areas, are very popular retirement spots for both Americans and Canadians. Mexico has the largest ex-pat community in the world, and the rising costs there reflect that influence. Housing prices are comparable to those in the U.S. because of the country's popularity. 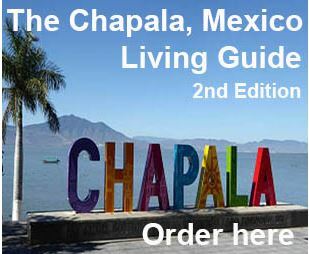 Of course, the warm Mexican hospitality and sense of community is a measurable plus. But by moving a few miles away from those particular areas, your cost of living, including housing prices, falls substantially. Another notable benefit for retirees living abroad is affordable health care. Dentists, doctors, hospitals, clinics, and alternative therapies such as acupuncture and detoxification are all far less expensive than they are in the States. In many cases, the care is much better. As you can see from the informational links on our Medical Options Page on our website, the savings and options in medical care more than compensate for higher living costs brought on by a weakening dollar. We have noticed that the more integrated retirees become within a local culture, the less expensive their lifestyle will become. Eating in local restaurants instead of Western hangouts will significantly affect your food costs. For example, in Thailand, pad Thai is a popular noodle dish that costs about $.60 U.S., and a stuffed chicken breast with mashed potatoes costs around $7. Learning the language can bring you measurable savings with the ability to bargain at markets and negotiate lease agreements or other contracts without having to pay broker fees, which can become quite costly. Recreating a first-world, Western amenity-filled lifestyle overseas has a price, and adhering to that lifestyle can set you back. We want to emphasize that locals live just fine no matter what the dollar is doing, and they are not in poverty. To sum it up, the savings from choosing to live abroad are in four major budget areas: housing, transportation, food costs, and health care. These savings, along with gains in our investment portfolio, have more than offset any adverse movement in the dollar for us. It's never too late or too early to begin planning for your retirement. To start your journey, try a risk-free trial to Rule Your Retirement . Coca-Cola is an Inside Value recommendation. In 1991, Billy and Akaisha Kaderli retired from the brokerage and restaurant businesses to a life of international travel. They don't own any of the companies mentioned above. 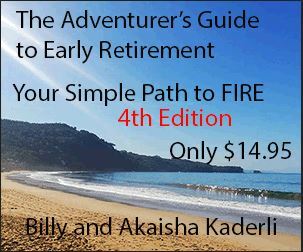 Visit their website at RetireEarlyLifestyle.com. Their new CD book is The Adventurer's Guide to Early Retirement. The Fool has a disclosure policy.